Online advertising makes the difference between success and failure in the present day. It fuels the flow of new customers to your business, whether it’s a product, a service, eCommerce, or other. There are many types of online advertising – banner ads, search engine results, social media, sponsored content/services, etc. Google AdWords is an advertising platform, providing a rich (and expanding) range of advertising channels for all needs and budgets. It allows for both broad and targeted advertising, using channels such as banners and text ads on the Google Display Network, text ads in the Google Search Results Pages, video ads on YouTube, mobile ads delivered to tablets and smartphones, Gmail ads, Mobile App ads on the Google Play Store, Product Listing ads on Google Search, and more. The majority of the ads are served using the Pay Per Click (PPC) model (although other models are also supported), meaning you only pay when a user actually clicks on your ad and visits your page. Search advertising allows you to reach people with your advertising message in the moment they are looking for a product or service. Search is one of the most effective channels for direct results. It features your text ad above the Google search engine results pages (SERPs). It enables you to bid for specific keywords – broad or very concrete – connected with your products and services, and whenever someone searches for any of them, depending on your bid you get the chance to show your advertising text message at one of the ad positions above search results. There are multiple criteria, which allow you to further specify your target users by geographic location, age, gender, etc. delivering higher efficiency and better ROI on your advertising spend. Google Display Netowrk (GDN) is a collection of millions of sites, that serve display ads. These may be banner ads (about a dozen pre-approved sizes) or text ads, similar to the ones used in search advertising. There are an enormous variety of sites on every possible topic, attracting their own smaller or larger communities. Your message can reach people targeted by affinity (long term) interests, in-market (actively looking to purchase) interests, placements (e.g. a site on a certain topic), keywords (on all relevant pages, containing the keyword(s), irrespective of placement), as well as the already mentioned geographic location, age, gender, etc. Studies of consumer behavior show that people research and visit multiple sources before making decision for a purchase. It is also known, that once they are familiar with your products and services, they are more likely to convert (buy a product or service) if you remind them periodically about your offerings. This can be achieved through remarketing – a powerful channel for advertising your products and services to potential customers throughout their decision-making period. As mobile Internet usage has already surpassed desktop use, targeting mobile devices is very important for the overall success of the advertising effort. Mobile platforms (smartphones and tablets) carry an additional, very big advantage – they have a location known with a great deal of accuracy, due to the built-in sensors. This allows for taking advantage of the so called micro moments – impulsive or very urgent micro-decisions, made on the go – for example, when you feel hungry and search for a good restaurant nearby, or you need to buy flowers in an unknown neighborhood. YouTube is the third most popular website and the second most popular search engine in the world. This platform allows you to reach an enormous audience with various interests through one of the most compelling channels – video. And this comes at an unparalleled cost, allowing you to start with virtually any budget, unlike TV and cable channels that usually have prohibitively high prices, especially for small and medium businesses. Shopping ads allow eCommerce or traditional businesses to directly publish product results with a photo, price and a link directly to a product page. This enables customers searching for a product or service to be directly given an appropriate offer, rather than a generic advertising message. 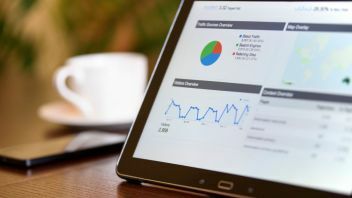 You create a product inventory in Google Merchant Center, manually or through connecting your eCommerce site, and then start to advertise these products on Google Search. Social media are a must in the contemporary advertising mix. This includes Facebook, Twitter and YouTube for the general public, Instagram, Snapchat and Pinterest for the millennials, LinkedIn for your professional messages, etc. These channels generate very strong viral response, amplifying message visibility and taking advantage of the already established feeling of trust and transitive trust among micro communities. Learn how online advertising brings success to your small and medium business . Pay-per-click (PPC) with Google AdWords, search, display, remarketing, mobile, video and social advertising.